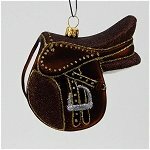 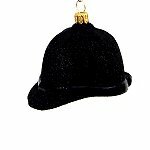 Equestrian Christmas Ornaments - Jumping horses, saddles, fox hunter, boots and hats. 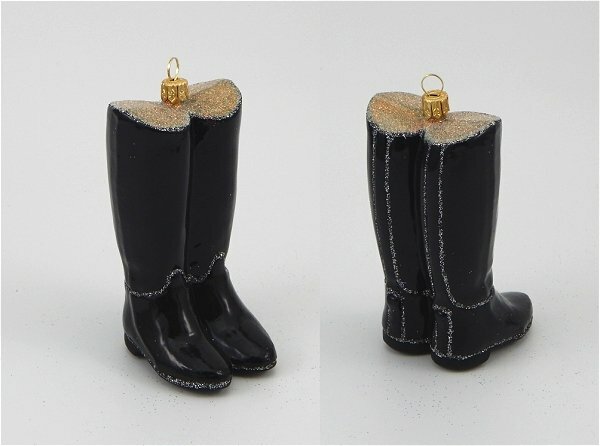 A fun selection of equestrian themed Christmas ornaments to brighten your horse loving friends Christmas tree this year. 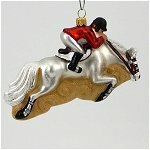 White (grey) jumping Horse blown glass Christmas ornament. A beautiful ornament capturing the horse and rider in flight over an unseen jump. 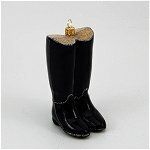 Wonderful action that will delight the rider in your life. 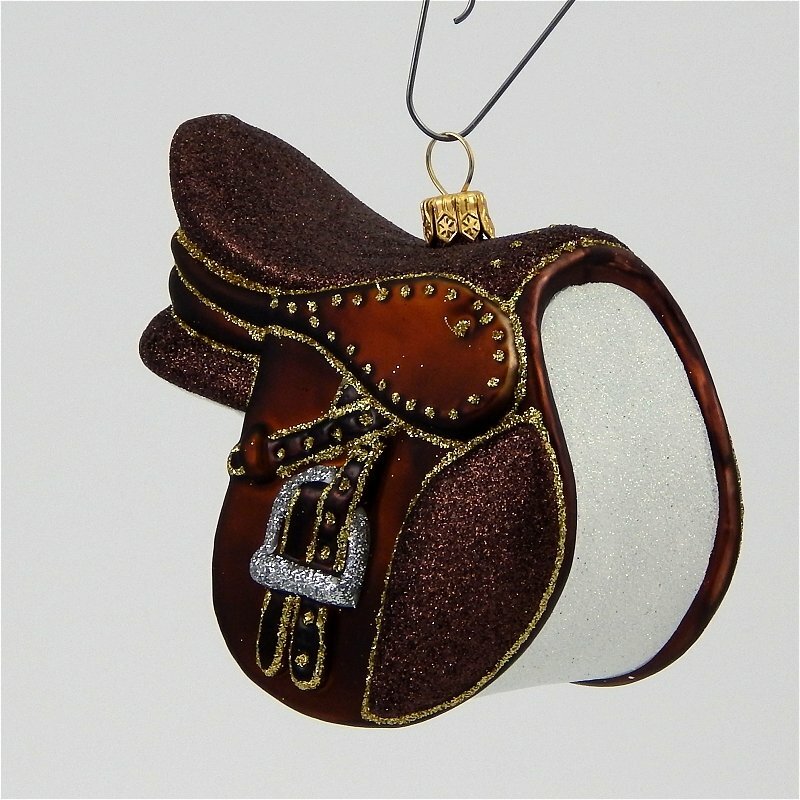 The rider in your life will enjoy this beautiful blown glass ornament depicting an English saddle. 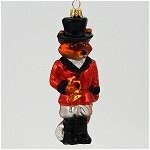 Sir Fox is finally in charge of the chase rather than being the object of the hunt. 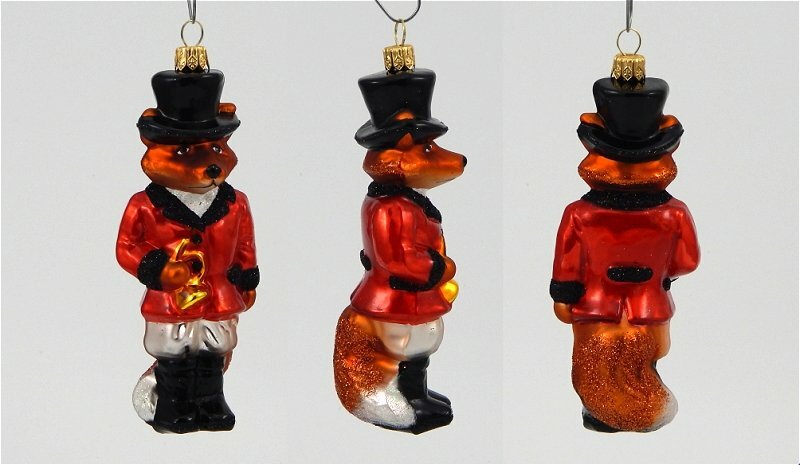 He is dressed in bright red and holding the horn used to signal the hounds. 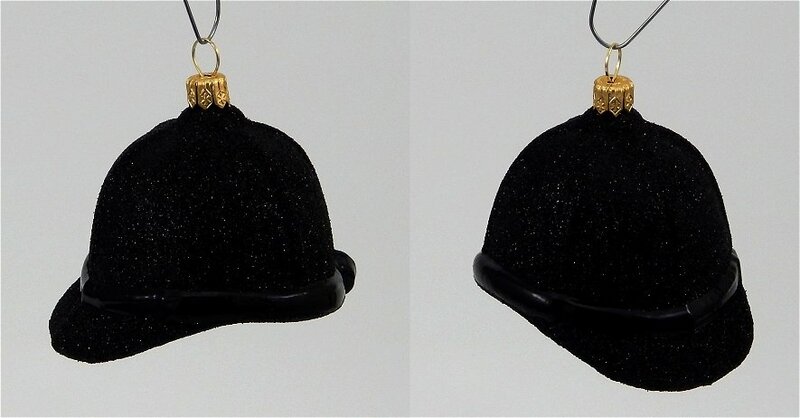 Knowing him I suspect he will probably be blowing the 'Gone to Earth' more than anything else to save a few old friends or two.